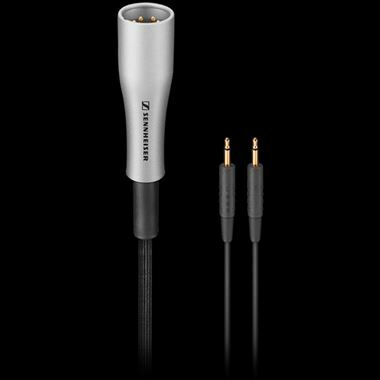 Sennheiser CH 700-S XLR Balanced Headphone Cable upgrade for HD700 headphones. These balanced headphone cables really do optimise the performance of your Sennheiser headphones when paired with either the HDVD 800 or HDVA 600 Sennheiser headphone amplifiers. They have a beautiful 4 pole XLR Balanced plug made out of anodised aluminium with gold plated pins.